The world's largest supplier of small wind systems, Southwest Windpower, had developed a highly innovative new product — the first ever residential grid-connected wind generator — and egg was asked to handle all facets of a national launch to the mass consumer market. Our research revealed that the prime customers for the new on-grid turbine, the Innovators and Early Adoptors, were primarily looking at the business proposition and ROI, instead of any driving environmental concern. Acting as the company's in-and-out-of-house marketing arm, egg's responsibilities were comprehensive, and ranged from a fully integrated communications plan and digital / social media strategy, to name and identity, sales collateral, in-store POP, and consumer and trade advertising. 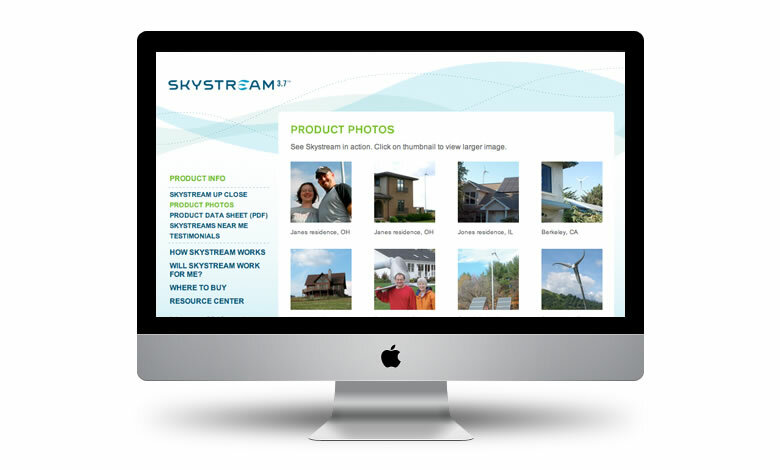 Subsequently, Skystream was recognized as one of the “Best Inventions of 2006” by TIME magazine, included in Popular Science’s annual “Best of What’s New,” and the company was awarded a Globe Sustainability Innovation Award, recognizing Southwest Windpower’s economic, social and ecological innovations that contribute to developing a sustainable society. 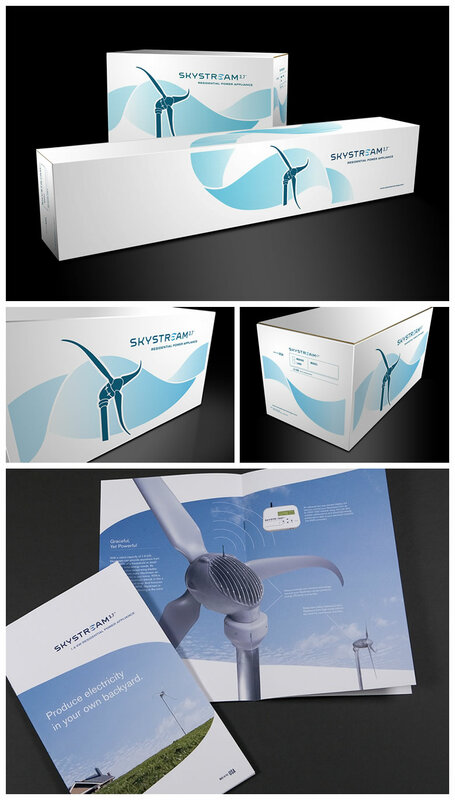 After the successful launch and later expansion of Skystream into Europe, and 3.5 times annual sales volume growth, General Electric became a majority investor in Southwest as a part of its successful Ecomagination initiative. 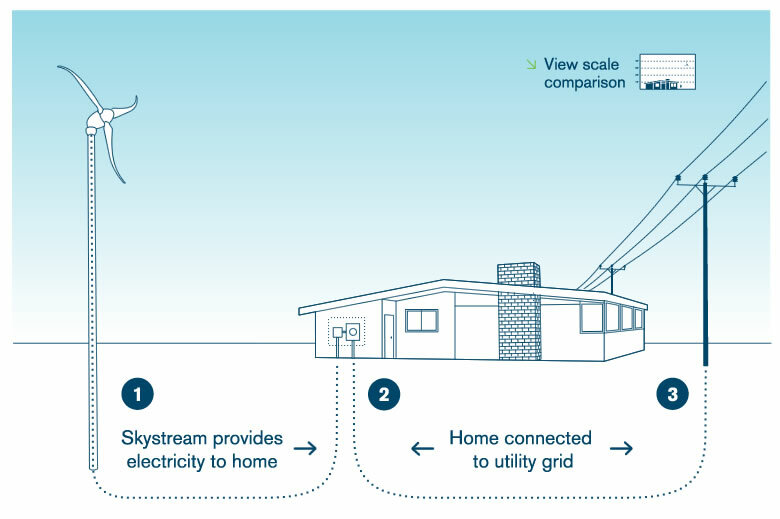 In our discovery, we found that consumers intuitively understood that a large windmill in their backyard would communicate something about the homeowner, and they wanted to be perceived as intelligent, proactive, and cutting-edge. 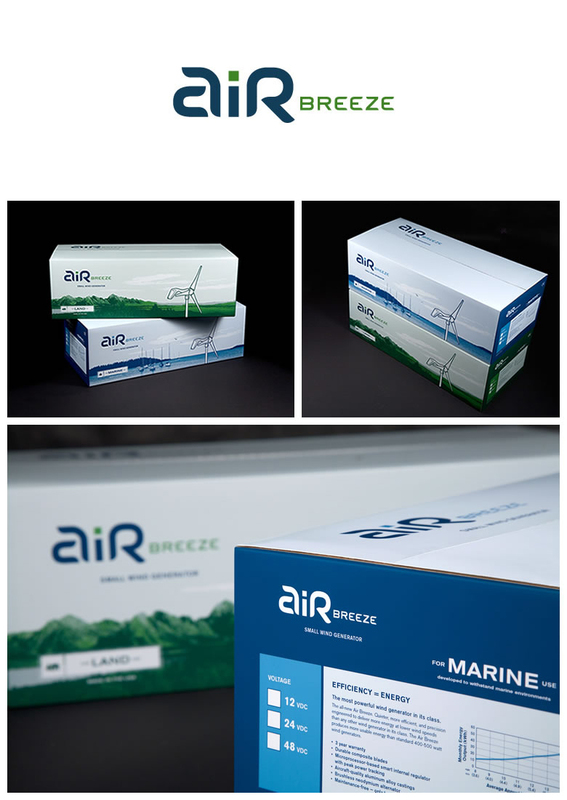 The result was a brand platform and identity that extolled the virtues of the product, in a way that exuded thoughtful intelligence and breakthrough innovation. 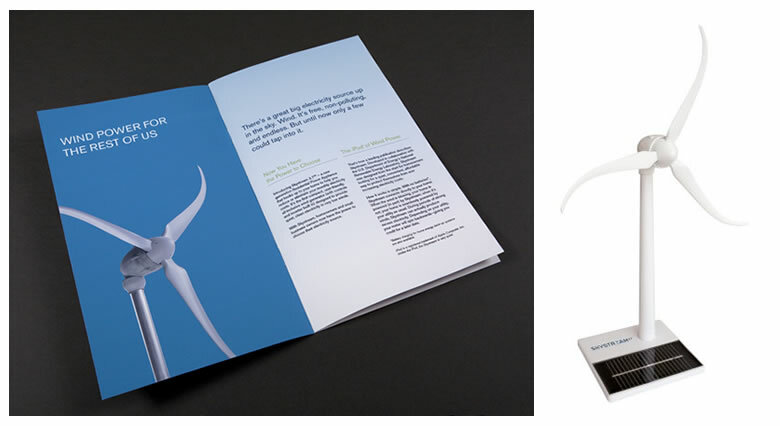 From the website, to the packaging and collateral, the visual design language extends the brand’s persona with flowing forms and breezy blues, and the tone and manner convey an approachable but no-nonsense professionalism. Friendly infographics quickly communicate functionality and simplicity. Launching with a teaser campaign to pique interest in this groundbreaking new technology, we then continued with a varying range of messaging that targeted different consumer segments, from energy cost savings, to control, and efficiency, all in the spirit and tone of quasi-revolution. Our first order of business in designing the digital presence was to prevent new visitors seeking information from opting out. 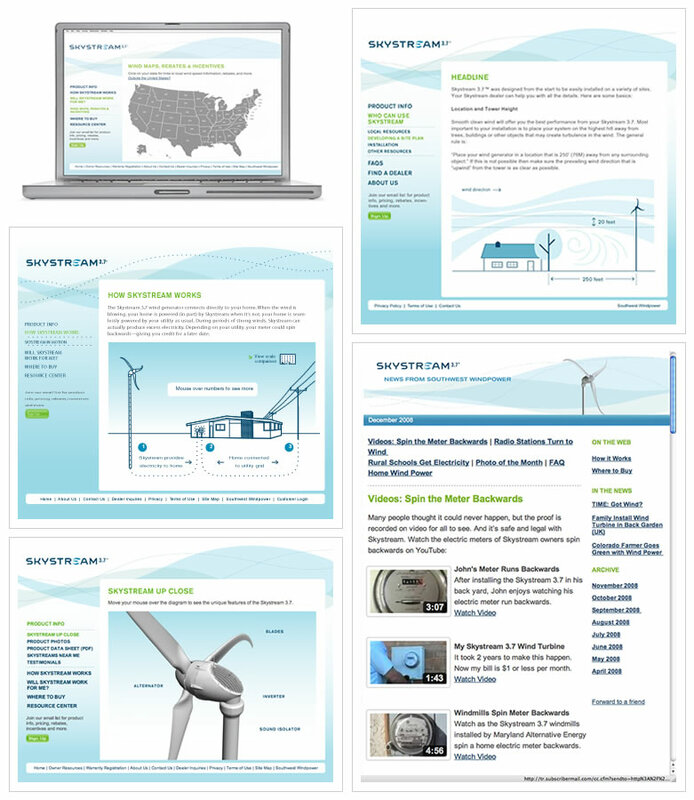 The user experience was super-simple and addressed the central queries — gleaned from focus groups — that newcomers would have about the new turbine. From “how it works” to “my wind situation” and “how long till payback,” we then steered the visitor to a sales associate for a more in-depth and specific conversation. A socially-enabled community was spawned on the site, which encouraged peer-to-peer conversations around firsthand experience with the product. 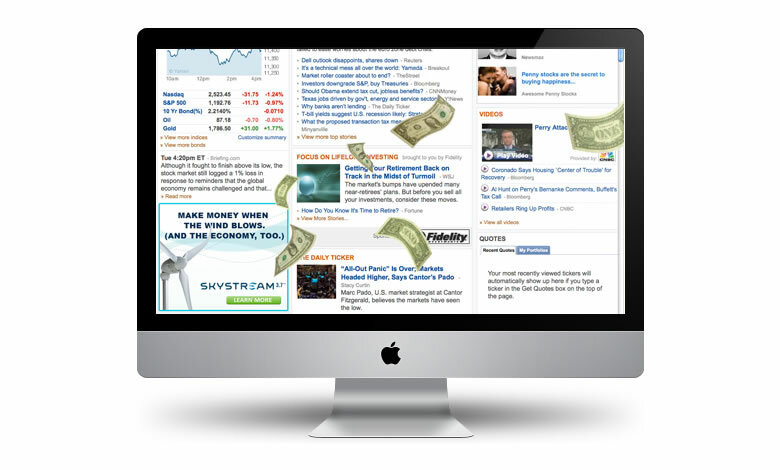 Creative media buying, and original, attention-getting concepts made for an effective interactive banner campaign. 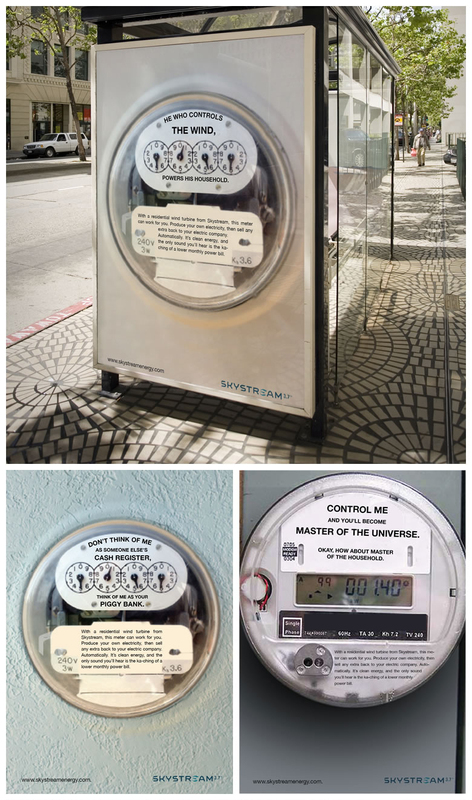 Leveraging a powerful focus group insight around self-control, a campaign was created around the electric meter and the idea of “net-metering,” which earns money from the utility for the homeowner when more electricity is created than needed. 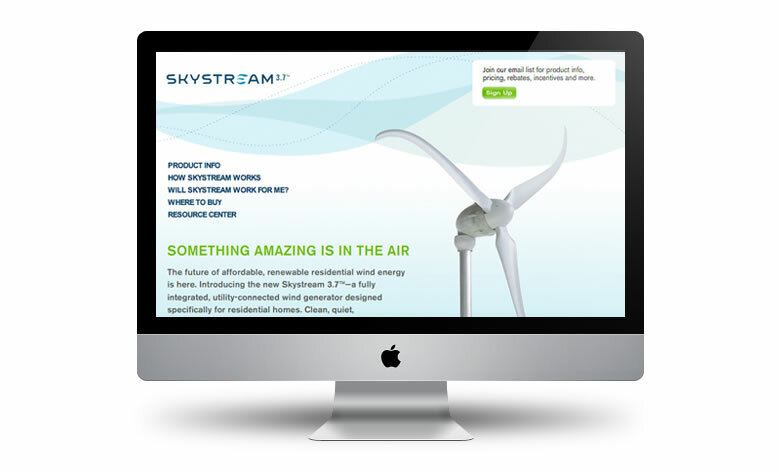 Due to the success of Skystream, egg was engaged to work on additional business, including the launch of Southwest Windpower’s next generation off-grid turbine.